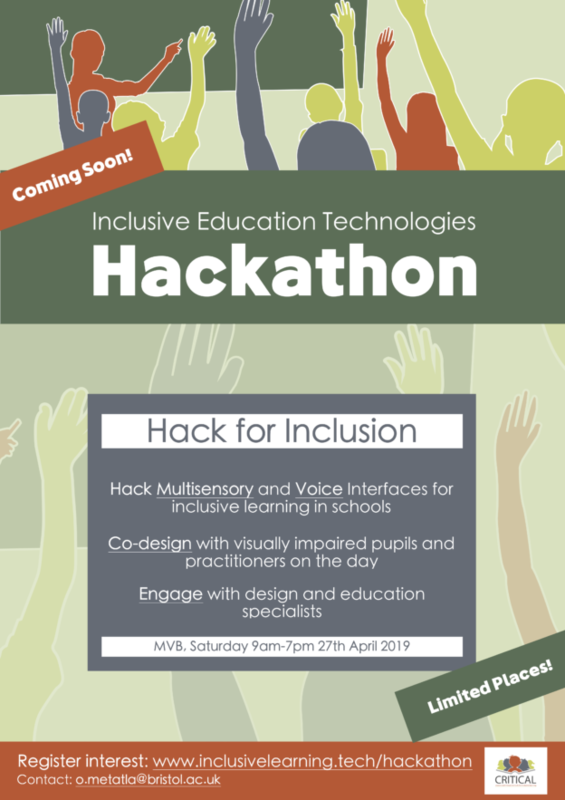 The Inclusive Education Technologies Hackathon is a one day event bringing together programmers, designers, education specialists and pupils with and without visual impairment to hack and co-design the future of technologies for inclusive schools. This entry was posted in Studies on 20th March 2019 by admin. Study: Can You Smell Shapes? The study is part of the Crossmodal Interactive Tools for Inclusive Learning project, an EPSRC-funded project in which we aim to design and research technologies that are inclusive of both sighted and visually impaired children in the context of mainstream education. 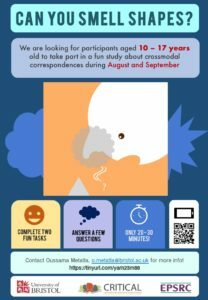 This entry was posted in Studies on 10th August 2018 by admin. This entry was posted in Vacancies on 15th July 2017 by admin. This entry was posted in Vacancies on 7th July 2017 by admin. A large proportion of visually impaired children in the UK are educated in mainstream schools, typically in the form of one or two learners in a class of fully sighted peers. We are interested in developing technology that can make group learning activities in mixed classrooms more inclusive of visually impaired pupils. This entry was posted in Uncategorised on 7th May 2016 by admin. This entry was posted in Uncategorised on 30th March 2016 by admin.